Welcome to the long overdue redesign of the Technobeat Archives website. 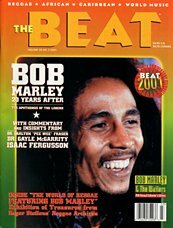 I created this site back in 1996 with the idea of putting my Technobeat world music review columns for The Beat magazine on the Web. In 1997, I started adding Hey Mr. Music columns that my friend Dave Hucker wrote for The Beat. For eight years, I faithfully if somewhat tardily updated the site. But as I began writing books about our animals (which anyone reading this should immediately purchase), I quickly fell behind. But due to an outpouring of popular demand (i.e., an email from Mr. Hucker), plus my hopes of finding another way of attracting attention to my books, the Technobeat Archives website has returned. Bob Tarte has written for The Beat since 1988, and also wrote a world music review column for The Miami New Times newspaper until everyone involved tired of him. 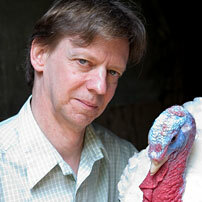 Bob is the author of the books Enslaved by Ducks and Fowl Weather, which describe his life with Linda and a few dozen animals (mostly birds). 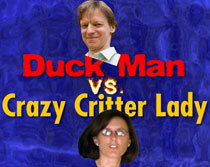 Bob and Linda live on the edge of a shoe-sucking swamp in West Michigan. 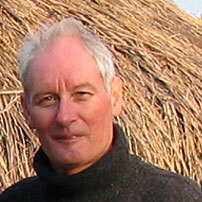 Dave Hucker has written for The Beat since 1989 as well as other publications. He is renown in London club circles as the deejay with a wicked way with nonstop Latin American and African grooves. Dave and his wife Kim Evans live in North Kensington and are active in historical preservation. They make frequent trips to Africa, Central America, and the Caribbean.